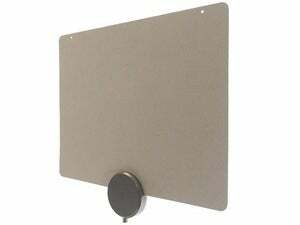 Made from recycled materials (post-consumer paper waste and recycled cable boxes), this antenna performs great and is priced right. Recyling. It’s good for the bottle, it’s good for the can. And apparently, it’s good for the set-top box you sent back to the cable company when you decided to cut the cord. Mohu uses the material to manufacture a portion of its latest over-the-air TV antenna. Be aware, however, that this is a non-amplified model. If you live far from broadcast towers, you might want to look at an amplified antenna. For $40, you get one Mohu ReLeaf antenna, a 10-foot coax cable, and four push pins (for mounting the antenna on the wall). After removing the ReLeaf antenna from the box, you’ll see a mysterious set of solid and dotted lines printed on the bottom of the packaging. 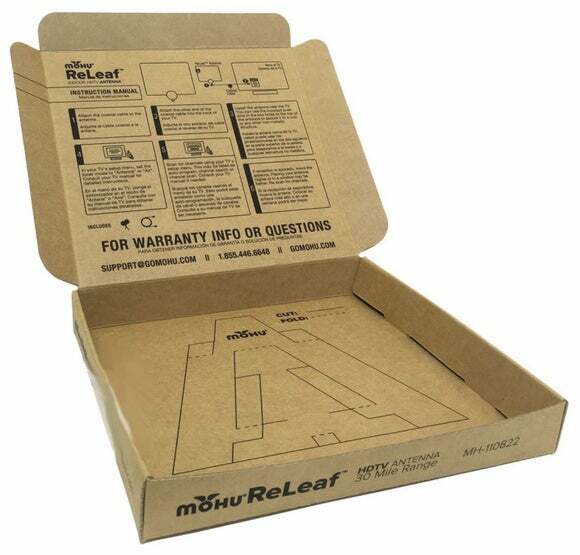 Visiting the site reveals instructions on how to turn the box into a stand for the ReLeaf, driving home Mohu’s attempt to produce an eco-friendly product. 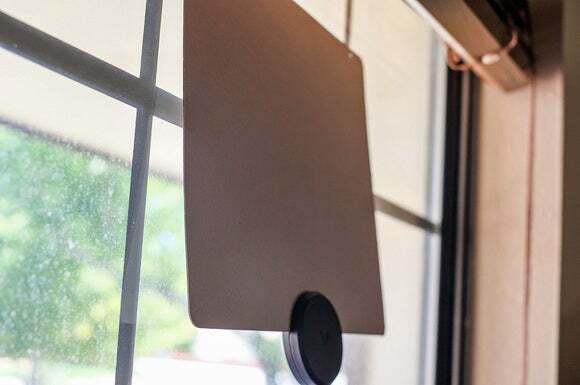 The ReLeaf is a multi-directional antenna, meaning you can mount it on a wall or window and not worry about pointing it in the direction of local broadcast towers. That said, it’s still important to have a general idea of where those towers are located. You can use the website Antenna Web, enter your address, and view a list of stations available in your area, along with the direction and distance of broadcast towers. 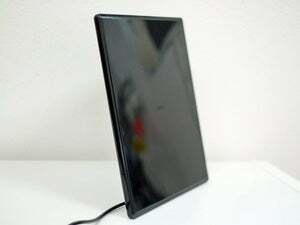 Mohu uses recycled materials in its packaging, and gives you the opportunity to further reuse it by turning the box into an antenna stand. Setting up ReLeaf is a straightforward process: Unbox, mount, connect, and use your TV’s menu to search for channels. Because the ReLeaf isn’t an amplified antenna, you don’t have to worry about providing power to the antenna to boost signal range. That is also one of its shortcomings, of course, but there’s no point in paying extra for a feature you don’t need. Mohu pegs the ReLeaf’s range at 30 miles; in my tests, however, I was able to pick up signals originating 41 miles away with clarity. Out of the 31 available channels available in my area, the ReLeaf picked up 25. That was a tie for the most channels received by any antenna I’ve tested. Out of those 25 channels, 24 were digital and one was analog. The analog channel also happened to be the only one that suffered from poor picture and audio. All the other channels were clear. ReLeaf received all HD (both 1080p and 720p) feeds from my local ABC, CBS, NBC, and Fox affiliates. Additionally, Mohu says the ReLeaf is 4K UHD ready for whenever over-the-air broadcasts begin streaming in ultra-high definition. That might be an important feature, assuming you own a 4K TV, but it might also be years before 4K broadcasts start. Outside of its reuse of old cable boxes as a stand-out feature, the ReLeaf doesn’t force users into using the included coax cable if it’s not the right length. Where similar products have the coax cable hardwired to the antenna casing, the ReLeaf features a standard coax adapter that makes it possible to use whatever coax cable you want with the antenna, be it for a different length or color. One downfall of using recycled cardboard for the antenna is that, well, it’s not all that attractive. The light gray color likely won’t match the color of your walls, and it’s not the prettiest site when mounted in a window. But, hey, it’s recycled material, it works, and it’s not expensive. This antenna made from crushed cable boxes crushes the competition despite not having a signal amplifier.